There’s two types of people in this world. 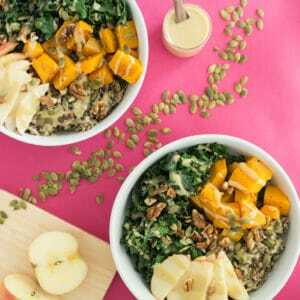 Those who love buddha bowls and those who don’t have a clue what a buddha bowl is. It’s basically a fancy way of saying a grain bowl that is full of healthy carbs, veggies, fats, and protein. 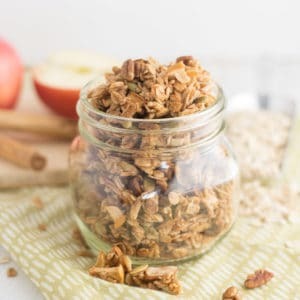 They are usually vegan recipes; however, they are completely customizable to your liking. 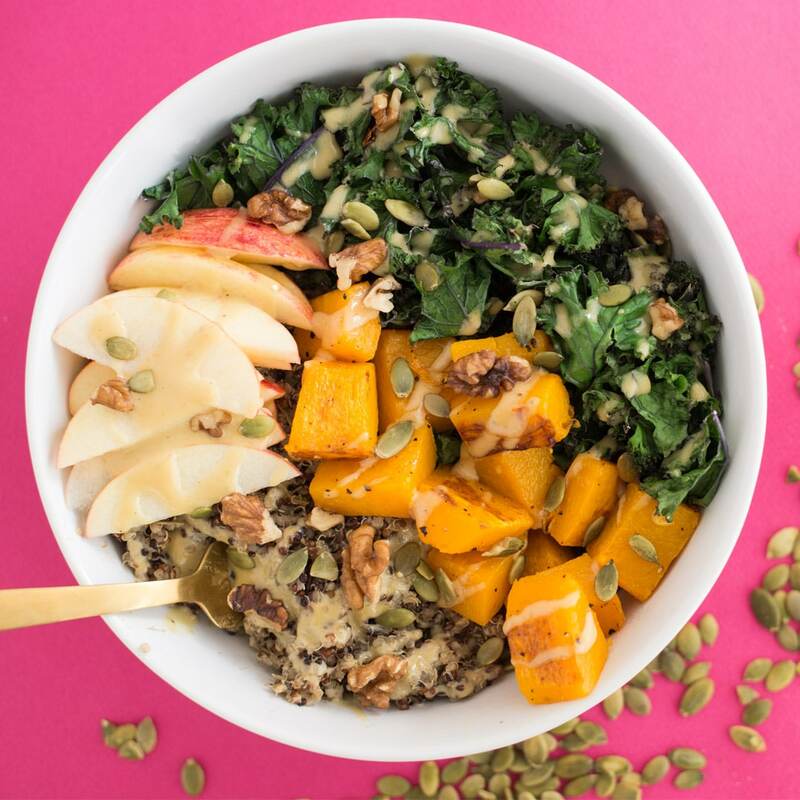 This Autumn buddha bowl is naturally vegan and gluten free and it is just as delicious as nourishing. Grain bowls are a major trend this year, which sounds odd, a “trendy food” but it’s true. There’s even cookbooks on the topic. Vegan Bowl Attack! 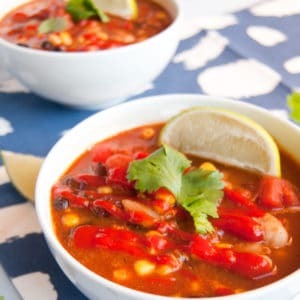 by Jackie Sobon is a staple in my cookbook collection and is packed with delicious vegan recipes that well, go in a bowl. Foods really do go in and out of style just like fashion! If you are curious I recommend the book The Tastemakers by David Sax. It’s on my to read list because this topic fascinates me and I’m a weirdo who literally thinks about food all.the.time. Okay, back to trendy grain bowls. 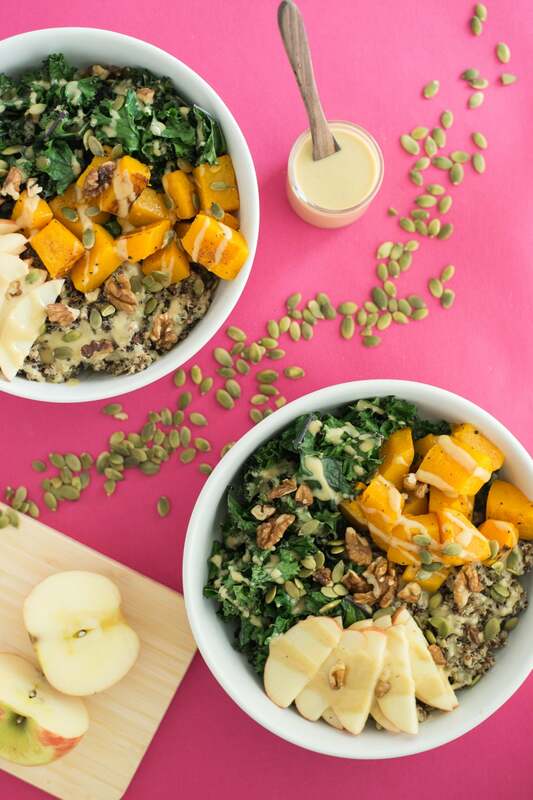 This Autumn buddha bowl is a bed of savory herbed quinoa topped with butternut squash and a bed of kale. 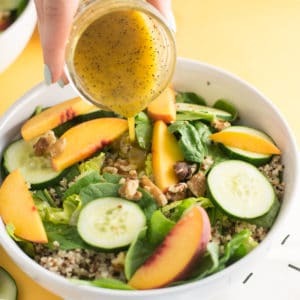 Apple slices, walnut, and pepitas (or pumpkin seeds) are dressed on the top all covered in a slightly sweet yet tangy honey apple tahini dressing. It’s the perfect healthy lunch recipe, or great for weeknight dinners. The herbed quinoa is seasoned with thyme, sage, and rosemary, reminding me of a comforting Thanksgiving meal. Don’t take my word for it though, scroll down and give this healthy plant based recipe a go my friend! 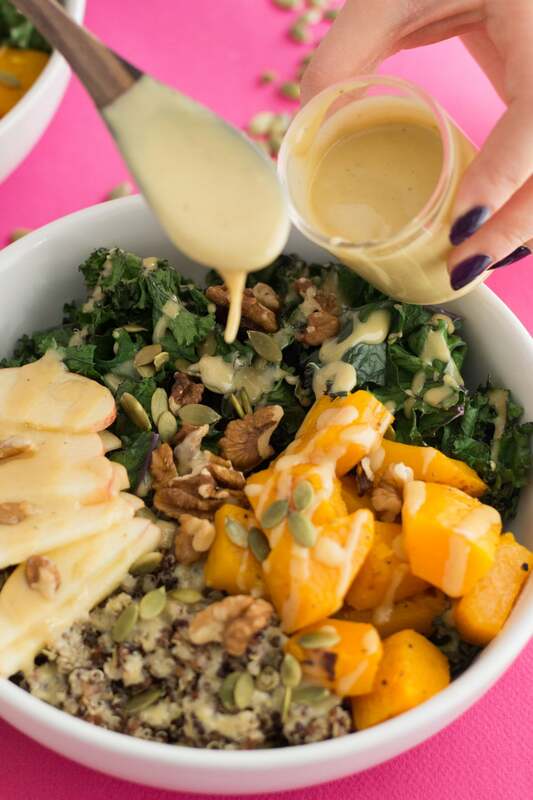 Buddha bowls are the perfect wholesome meal that are nourishing and healthy. 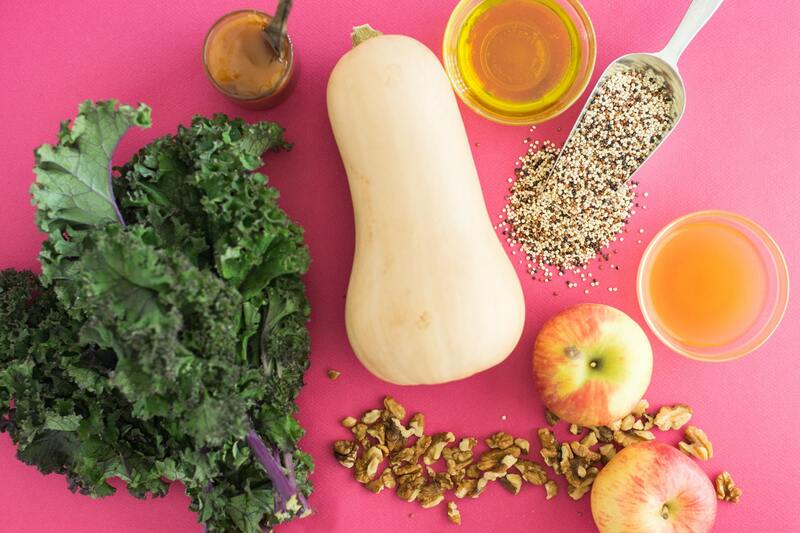 This buddha bowl recipe is perfect for chilly fall weather. 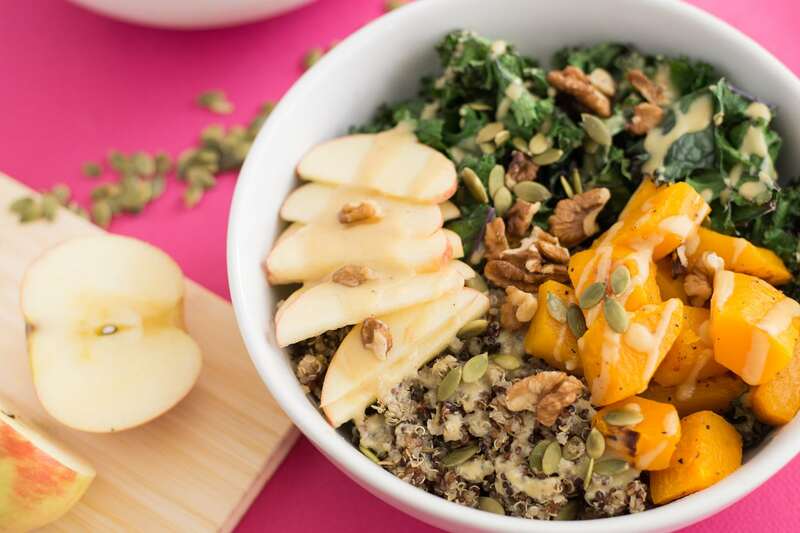 With good for you ingredients like kale and quinoa, you got to give this healthy vegan recipe a try. Using a vegetable peeler, remove skin off squash. Cut lengthwise and spoon out seeds. Cut into cubes and place in mixing bowl. Add 1 teaspoon olive oil and 1/4 teaspoon salt and pepper. Mix well. After 25 minutes, remove from oven and flip squash with fork. When squash is fully cooked, you should be able to stick a fork through a piece with ease. Let cool and turn down oven temperate to 300 degrees Fahrenheit. When water is boiling, add quinoa and reduce heat to low-medium. Put lid on pot and let simmer 15-20 minutes. When fully cooked, fluff with fork and add all ingredients for quinoa. Mix well. Remove steams from kale and tear into bite sized pieces. Place in colander and rinse well. Put squash in a bowl and set aside. Place kale on baking sheet and bake in oven for 5 minutes. In a small mixing bowl, add all the ingredients for dressing and mix well. 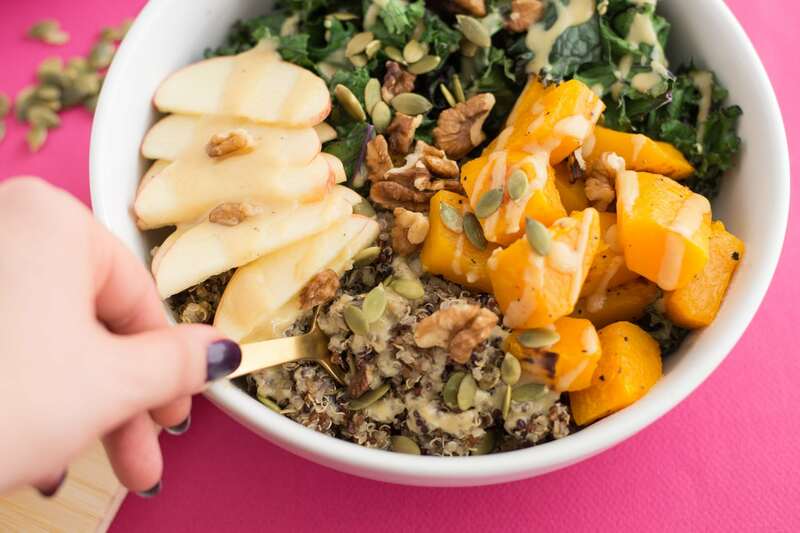 Looks like the perfect fall Buddha bowl! !